You may or may not remember the sensation of a loose tooth. When we are children, our “baby teeth” fall out to make way for our permanent teeth. During this phenomenon, your teeth will typically fall out naturally. Of course, not all teeth will come out as easily as we would like them to. 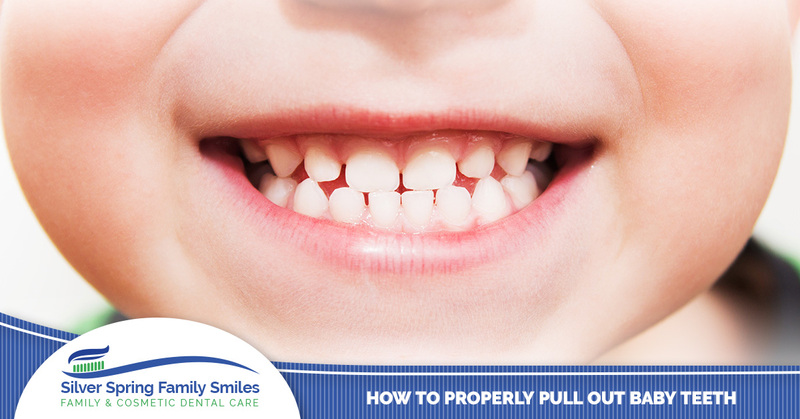 If you kid currently has a loose tooth, it is best to pull out the tooth in a clean and calm manner. 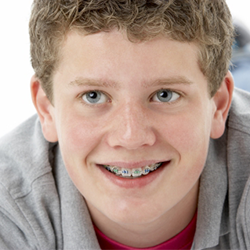 In this blog, we will offer you a clean and safe method to pull out baby teeth. Hopefully, by reading this blog, you will have a better understanding of how to properly pull out baby teeth and how certain methods can be dangerous and harmful to your children. You may have heard the old wives tale that you should tie a string around your tooth and a doorknob and close the door. This is false! Though it would be an interesting sight, this does not always ensure that the tooth will come out cleanly and won’t give you any pain. Biting into apples is also not a wise trick as biting into the apple could mean that you could either drop your loose tooth once it detaches into the apple, or you hurt yourself by biting into something when your tooth isn’t fully attached to its socket. Most teeth will naturally fall out, without any real effort involved. If you have a tooth dangling by the end of a thread (gum tissue) it is best to put your hands to work. REMEMBER: Do not force a tooth out when it is not ready. Part of the process of losing your teeth requires that they fall out naturally or under the guidance of a professional family dentist. Teeth should not be forced out, otherwise, long-lasting tissue damage could occur. As a parent, it is best to stay calm when your child is losing a tooth. If you begin to panic, your child is likely to as well. If you are pulling out your child’s tooth, it is best to act like it is not big deal. Typically if your six or seven-year-old sees blood, they will think that they are severely injured and may burst into tears. It is best to fully explain the situation and meet the situation with enthusiasm. If your kid is on the brink of a meltdown at the sight of a little blood, it is best to ramp up the excitement factor by reminding them that the tooth fairy will come once the tooth is placed under their pillow. Yes, it is absolutely okay to distract them with the magical fairy that gives out money for teeth! Do not force the tooth out if it is not ready. If your child is tugging at their tooth while it is still heavily rooted, it could cause them harm and damage to their gums. It is best if you are trying to pull out your child tooth, to do so gently. There are three steps that you should follow if you are pulling out your child’s tooth. For one, you will need to wash your hands before putting your fingers in your child’s mouth. If not for the sake of their hygiene, then for yours. Once you have fully cleaned your hands, grab a clean tissue and take hold of the tooth. Once you have a gentle grip of the tooth, be sure to move it back and forth in the tissue. It is also a good measure to do a twisting motion as well. Once the tooth is out, be sure to grab some gauze or a paper towel to soak up any blood. As previously stated, children have a general tendency to get squeamish when they see blood. Once the blood is soaked up and cleaned, it is a good measure to check the gums one more time. 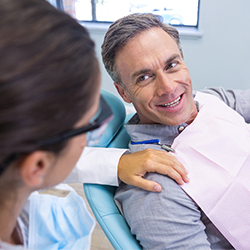 By doing so, you can inspect and ensure there are no tooth fragments still in the gums. You may even be able to see the newer, more mature teeth growing in! 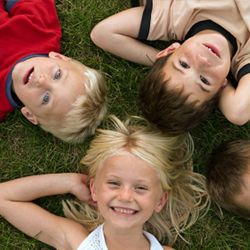 Tooth extractions by a professional dentist are very rare, especially for children. Sometimes, certain teeth will refuse to fall out, which means that crowding can happen. If this indeed happens, it is a good idea to meet with your family dentist. Professional care providers will be able to not only inspect your child’s teeth with x-ray technology, but safely extract the tooth if necessary. At Silver Spring Family Dentistry, we are dedicated to the care of your family’s teeth. 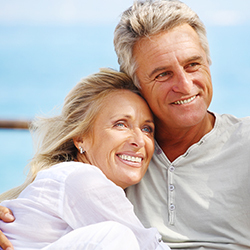 From the first missing tooth to dentures, we are here to provide excellent dental care to all ages. If you are interested in quality dental care, please contact us to schedule an appointment.